Mukimono in Mazatlán | ¡VidaMaz! I’ve been noticing so much more Japanese influence in Mazatlán lately, despite all the cream cheese people insist on putting in what they call sushi here. Yet one more very cool event this week was held on Friday evening at El Roots Café in the Golden Zone. It was an exhibition of mukimono! Chef Fyek Osuna was leading a crew of students from the School of Gastronomy that is behind the Hotel Hacienda in carving fruits for display. Gilbert, owner of the café, was carving, too. The group had several sponsors, including the school, the provider of the chefs’ uniforms, and a few local restaurants and businesses. 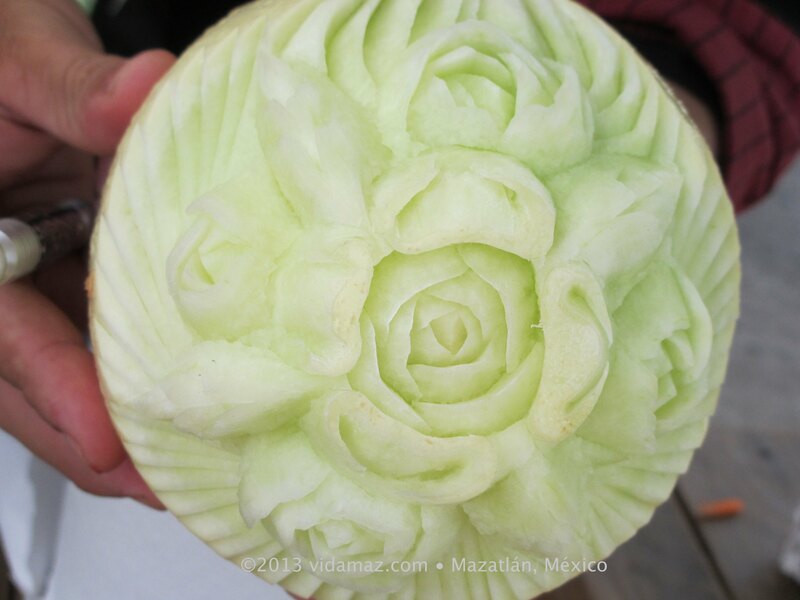 While the group carved watermelons for each of the sponsors, the main piece of art was a large sculpture of a dragon. We watched for a couple of hours, while we sacrificed ourselves eating an incredible meal and enjoying a drink or two. We left before the head and tail were put on the dragon, though. If anyone has pictures of the final, completed work of art, please share them! Click on any photo below to enlarge it, or to see a slideshow. What a creative way to bring people out! It would have been a terrific event for ComoLocal, and hopefully we might see them again over the winter at the Farmer’s Market. 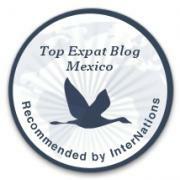 ← Pechakucha Makes it to Mazatlán!! !